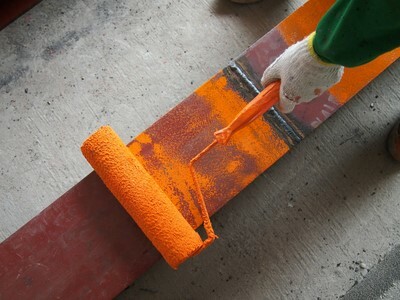 At One Man and A Brush Dallas Painters we believe in doing it right the first time. Choosing the best Dallas, GA house painter to work on your home is one of the most important decisions you can make. That’s why more & more homeowners are looking to One Man and A Brush painting for professional, clean, on-time and budget friendly exterior painting & interior painting in Dallas GA.
A competitive price is important, but we believe “True Customer Satisfaction” is only realized by utilizing four important ingredients – a skilled painting craftsman, insuring proper preparation, utilizing the highest quality paints and providing superior customer service. Quality Residential House Painting in Dallas GA Since 2005. Our services don’t end on the last day of your painting project. We offer a 3-day painting touch-up service and 5 year painting warranty. You deserve quality house painting you can be proud of—that’s the only kind of work we do. Highest Quality, Yet Affordable Home Painter and Improvements in Dallas GA and all of N. Metro Atl. We always strive to give you fair a competitive painting estimate, but will not sacrifice quality or short cut the job just to give you a lower price. Our detailed, no-hidden cost, paintingestimates are the most detailed in the business. There will be no “surprise” charges. Everything we discuss is in your painting proposal. With hundreds of homes painted we have experience you can trust. We know that experience in the industry is not everything. Caring about our work goes a long way toward being a quality painting contractor. Our painting contractors are professional house painters that “Care”! Give us a try, you will be glad you did! I recently had my house painted by One Man and A Brush and I am extremely happy. I met with several painters and Richard was by far the right choice. He was very thorough in his scope of work and extremely patient with me when I was trying decide the quality of paint I needed in my home. His prices were beyond reasonable, couldn’t believe what I got for the money. His men were professional and extremely polite. Omar was the project lead and I couldn’t be happier with their quality of work. They were the Nicest guys to work with. I will DEFINITELY use Richard again and I have already passed his info to my neighbors! If you are looking for a professional Dallas painter or painting contractor in the Dallas, GA area then please call One Man and A Brush at 678-368-5115 or complete our online request form.